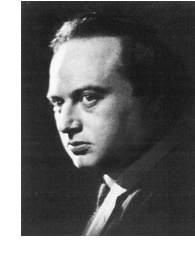 Franz Viktor Werfel (1890-1945) was born in Prague, then part of the Austro-Hungarian Empire, and died in Beverly Hills, California. He was a poet, playwright and novelist, whose one science fiction work was written in German while he was in self-imposed exile in America. Stern der Ungeborenen: Ein Reiseroman was first published in Sweden in 1946, and a translation by Gustave Otto Arlt, as Star of the Unborn, was published in the same year. It is a utopia, set on Earth in the far future. John Clute, in the Encyclopedia of Science Fiction, notes that the “narrator’s response to the depopulated, deeply alienating, surreal world about him seems cunningly to mirror the exiled author’s real-world experiences of California”. He adds that it is reminiscent of Olaf Stapledon’s scientific romances. Werfel was the oldest child of a wealthy manufacturer of gloves and leather goods in Prague. He came from a Jewish family, but had a Czech governess who was a Catholic, and often took him to Mass, and he was subsequently educated at a Catholic school (that allowed a rabbi to prepare Jewish students for their Bar Mitzvahs). He continued to be attracted to Catholicism for the rest of his life, and was also interested in other religions, including Theosophy and Islam, and would attend séances. His first book of poetry, Der Weltfreund, was published in 1911, and he was well-received by the literary community in Prague: among those he befriended was Franz Kafka. In 1912 he moved to Leipzig in Germany, where he was an editor for a publishing firm, and got to know many German writers and intellectuals. In 1917, after fighting on the Russian front (see War Experiences), he joined the Military Press Bureau in Vienna, where he worked as a propagandist with many other writers, including Robert Musil, Stefan Zweig and Franz Blei. Blei introduced him to Alma Mahler, the widow of Gustav Mahler and the wife of Walter Gropius. He began an affair with her; she divorced Gropius in 1920, but did not agree to marry Werfel until 1929. She supported him in his writing, and by 1930 he had become one of the best known writers in German. In 1930 he travelled to the Middle East, which inspired his novel about the Armenian genocide, The Forty Days of Musa Dagh (1933). There is now a monument to him in Vienna’s Schiller Park, with the inscription: “In gratitude. The Armenian people”. However, at the time he was denounced by the Nazi Party for alleging that the Turks had massacred Armenians. When the Germans entered Austria in 1938 Werfel went to France; when the Germans entered France and started deporting French Jews, Werfel and his wife managed to escape to America. He had been helped by French Catholics, and had in particular been impressed by those he had met at the shrine of Lourdes. When in America he wrote about Lourdes in The Song of Bernadette (1941), which was made into a hugely popular movie in 1943: Jennifer Jones played Bernadette Soubirous, whose visions had established Lourdes as a great pilgrimage centre. In California, Werfel wrote his final play, Jacobowsky and the Colonel, which was made into the movie Me and the Colonel, starring Danny Kaye, in 1958. He died in Los Angeles; his body was returned to Vienna for reburial in 1975. My information so far comes lately from Wikipedia.